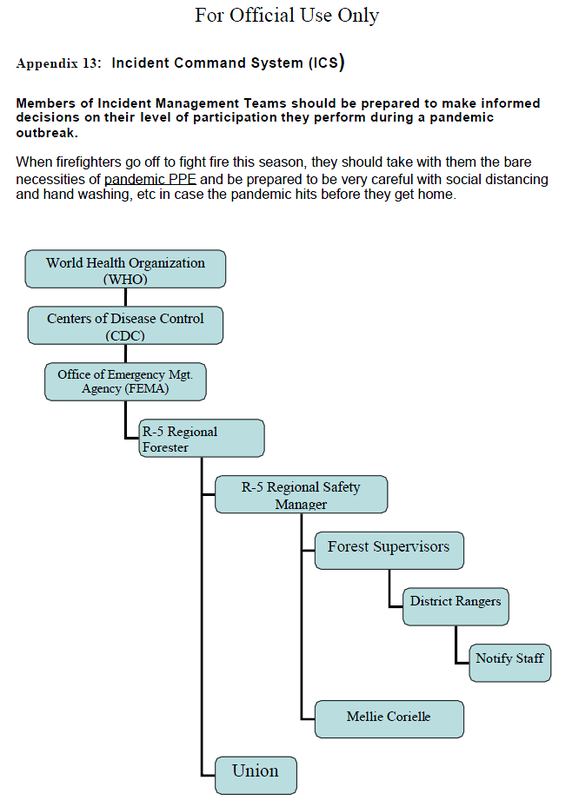 This material is designed to help Forest Service Mangers prepare and respond to the health and business risks created by an influenza pandemic or similar biological catastrophes. 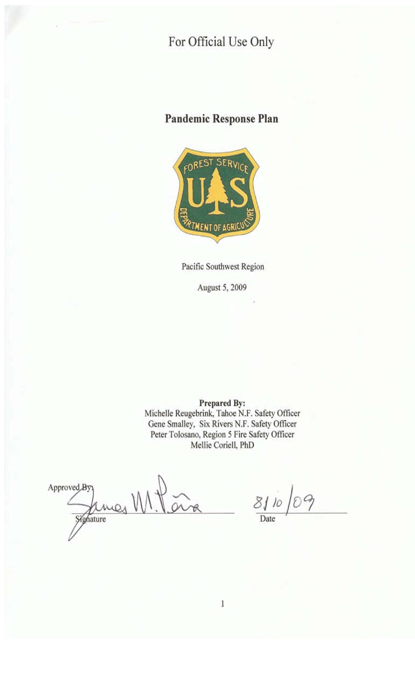 The material has been drafted to provide a series of practical suggestions and options for prompt planning by individual Forests. 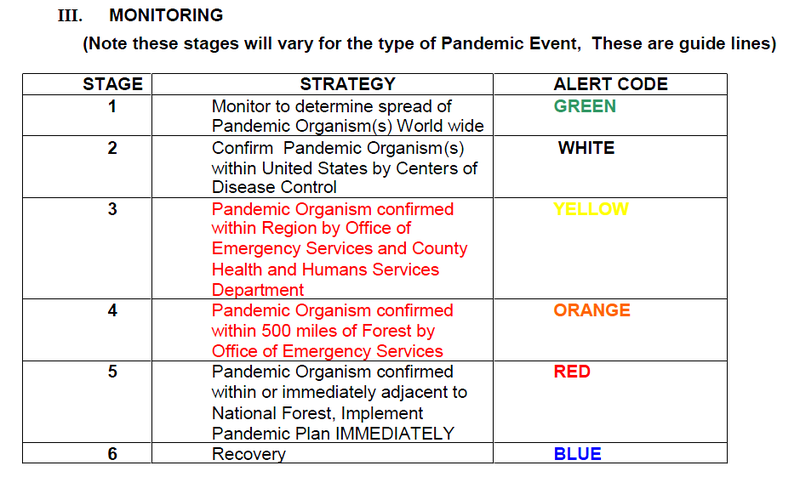 There is no one, single pandemic scenario. Forest Planning needs, therefore, to be pragmatic and provide enough options for a Forest to respond to a range of scenarios. Successful planning will involve talking with staff working and providing supplies. This material has been prepared to support workplaces doing that planning and has not been drafted as prescriptive, legal advice. Forests will need to keep themselves informed of developments and update their plans accordingly. 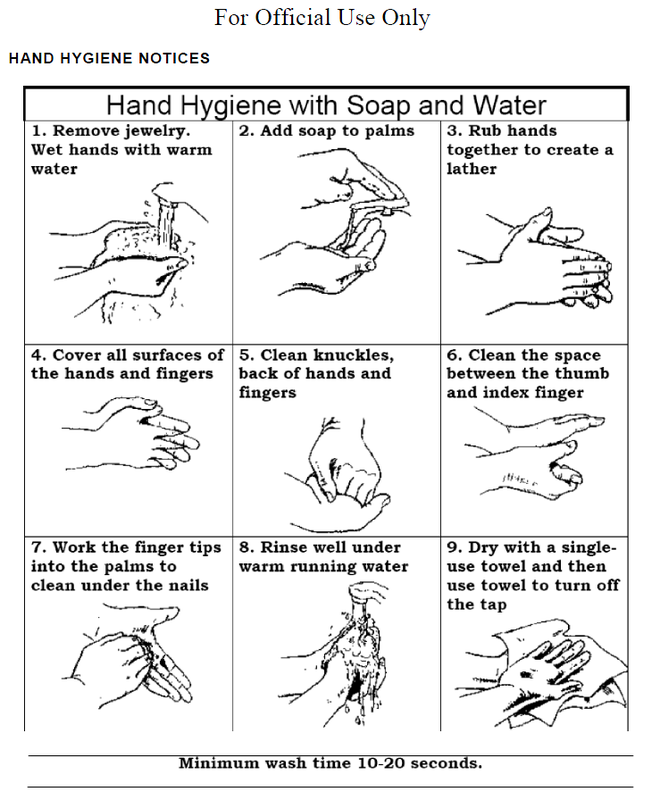 In addition to the existing networks and organizations, the World Health Organization (WHO) and Centers for Disease Control (CDC) will be ongoing sources of information on the implications for workplaces, and public health.